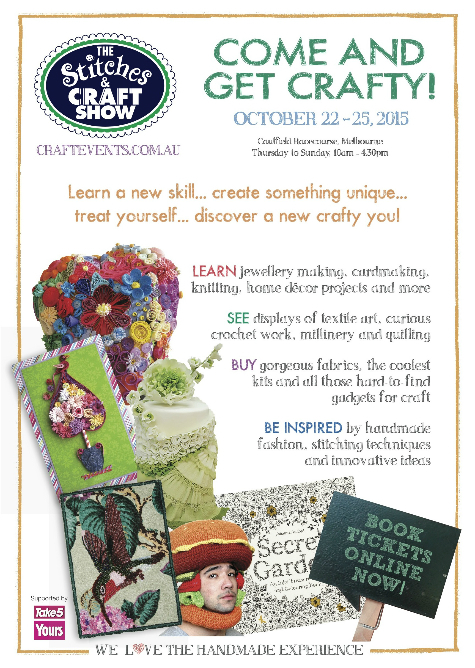 One of the nation’s most loved travelling craft shows, The Stitches & Craft Show, is returning to the Caulfield Racecourse for a huge event filled with creativity and inspiration from 22nd to 25th October 2015. The Show will include an amazing array of products from popular favourites to the latest releases, expert retailers, guest artists, fashion parades, hands-on classes and educational workshops, a kids’ corner, displays of textile art, DIY ideas and much more! Guest artists at the Show this year will include crocheting extraordinaire Phil Ferguson, who is renowned for his crocheted food hats, and award-winning quiller Christine Donehue. Both artists will be showcasing a range of their incredible pieces as well as sharing the latest tips and techniques with attendees. Making its debut at the Melbourne Show will be The Medieval Project by renowned textile artist Dijanne Cevaal, who in 2014 brought to the show the embroidered textiles display, The Sentinelles. This new display includes linocut designs inspired by the French medieval period that was known for its rich textile tapestries, embroideries and expert craftsmanship. 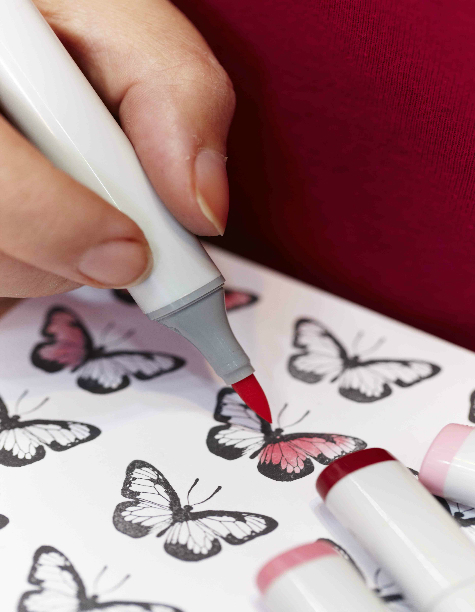 A highlight of this year’s Show for budding artists will be an interactive display from the best-selling book by Johanna Basford, Secret Garden: An Inky Treasure Hunt and Colouring Book. Attendees are invited to get creative and colour-in a series of enlarged pages from the book using pencils, pens and watercolours. 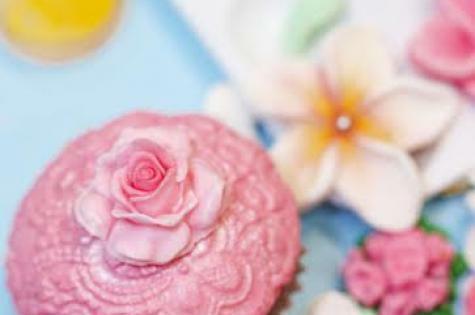 For those with a sweet tooth, the cake decorating display will be sure to delight! Hosted by the Cake Decorators Association of Victoria, the competition showcases creativity and talent and reflects the ever-changing styles. Throughout the four days of the Show, a fantastic range of tutorials and fun ‘make & take’ workshops will be on offer including jewellery making, quilting techniques, sewing, scrapbooking, card making and embroidery. There will also be drop-in style education zones with classes for the novice crafter to those looking for an update on the latest techniques. 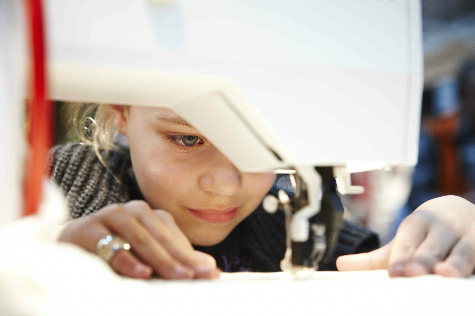 Not only for the adult craft-enthusiasts, young crafters will be kept entertained at the Show thanks to a Kid’s Corner coordinated by I’m A Craftaholic where little hands can take part in a variety of make-and-take workshops. With something for every craft lover or those new to the craft craze, The Stitches & Craft Show will be sure to delight and inspire audiences both young and old! We have 10 adult tickets to be given to 5 winners (each with double pass, RPP $32). To participate, please submit your entry via the competition tab below. This is a great event worth going to.